We are offering to your attention luxury, two-bedroom apartment for sale, located in the second biggest city of Bulgaria – Plovdiv. The apartment is two-bedroom and has total living area of 100 sq m. It is completely finished turnkey and has Act 16 since 2010. The finishing includes inside isolation, laminate and terracotta floors, faience bathroom, latex painted and suspended ceilings. The property comes with a basement and the building has an elevator. There is also full furniture and equipment. 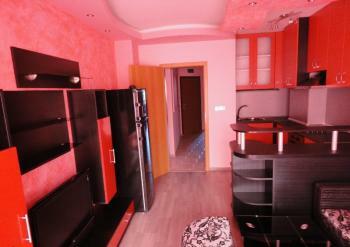 The living area is distributed between a living room with kitchen box, two bedrooms with closets, two sanitary premises. 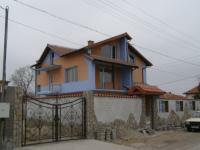 The apartment is in close proximity to a school, two kindergartens, shops, and bus stop. It is on a very quiet and peaceful street.